The prettiest thing to happen to your wrist! 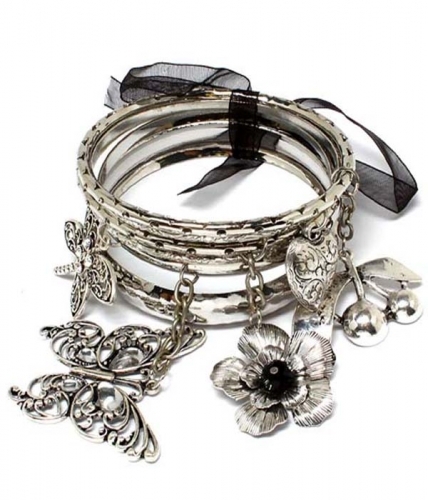 The Evelin is a darling set of cast silver bangles in various textures, adorned by a fairy tale collection of dragonfly, butterfly and flower charms’, gathered together by a noir chiffon ribbon. For the sweetheart in you. Shop today from one of Australia's favorite online jewellery stores. Fun, formal, chic or unique….we have it all!